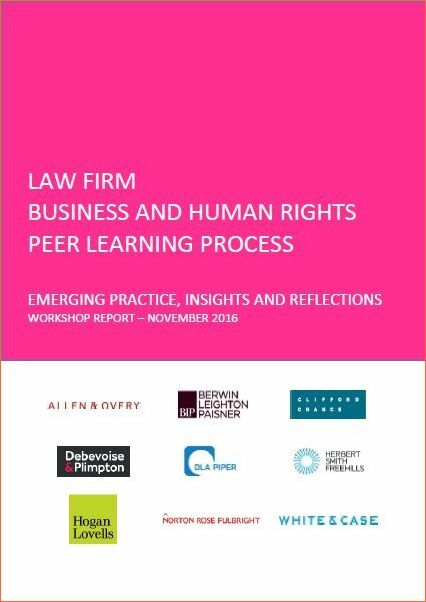 A new workshop report from the Firm Business and Human Rights Peer Learning Process titled Emerging Practice, Insights and Reflections (November 2016), indicates that it is becoming increasingly difficult from a commercial standpoint for law firms not to build lawyers’ capabilities on business and human rights. Interestingly, practitioners reported that their firms are creating opportunities to enable lawyers to learn “on the job” by working on business and human rights matters, either for relevant pro bono clients or for corporate clients, and at times in a non-billable manner. 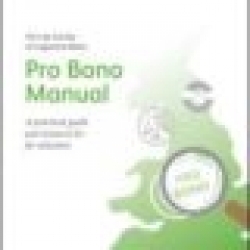 The report indicates that legal practitioners have recognised that there is a clear risk for law firms where their lawyers, who are on the front line advising clients, are unaware of the potential human rights impacts of their work. The Law Firm Peer Learning Process is a space for knowledge-sharing, peer learning and collaboration on business and human rights betweenand within law firms, and was commenced in the UK in September 2016 by nine global law firms.